It's one of a number being tested in San Francisco, Scottsdale, and Detroit. Thanks to a video posted by Kyle Vogt, the CEO of GM's autonomous technology company Cruise Automation, you can see GM's highly functional autonomous Chevy Bolt EV in action. Vogt posted a dash cam video of the Bolt EV navigating San Francisco, and his tweet said he and GM's president Dan Ammann were on-board. The video shows an indicator that says the car is in autonomous mode, and it displays the autonomous indicator for the duration of the trip. The car successfully navigates traffic signals, stop-and-go traffic, merging and stopped cars, as well as crossing pedestrians. It even handles stopping to pick up a passenger and taking off again like a pro. 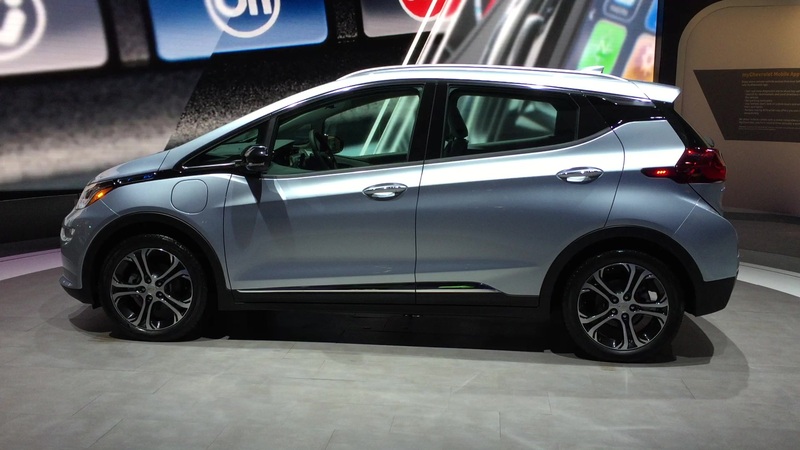 Though we don't see the actual vehicle, Kevin Kelly of GM Advanced Technology Communications did confirm that it was an autonomous Bolt EV, and it was a standard Bolt in every way except for the autonomous equipment. He said it's one of a number that are being tested in San Francisco, Scottsdale, and Detroit. Kelly said that the Detroit area was added last month and will be the primary testing ground for winter conditions. Kelly also explained what the application mentioned in the video does. He said GM plans to launch its autonomous vehicles in shared fleets, and the app determines pick-up and drop-off locations. So it sounds as though these vehicles will be fully autonomous from when they leave their parking spaces to pick-up passengers, to driving back to their "homes" after the passengers have been dropped off. Kelly wouldn't provide any details on when GM will start to roll out these programs or vehicles, though.